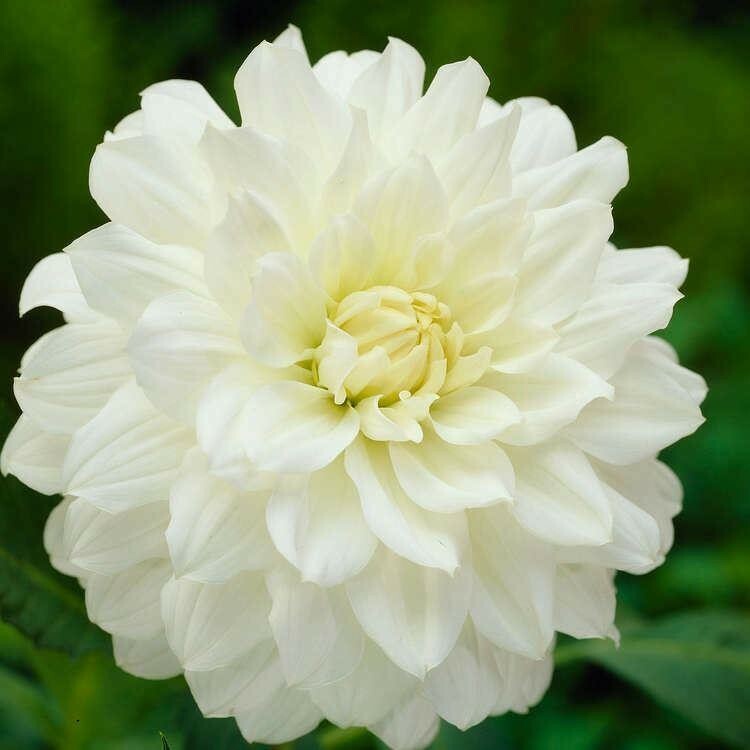 A lovely, white decorative Dahlia. 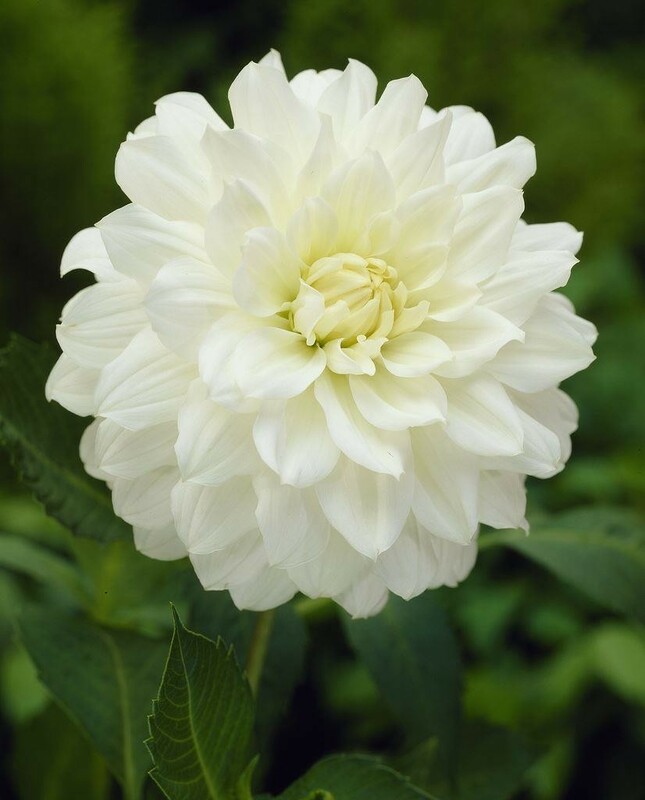 'White Onesta' blooms in mid-summer and will continue to produce flowers right through til the first frosts. 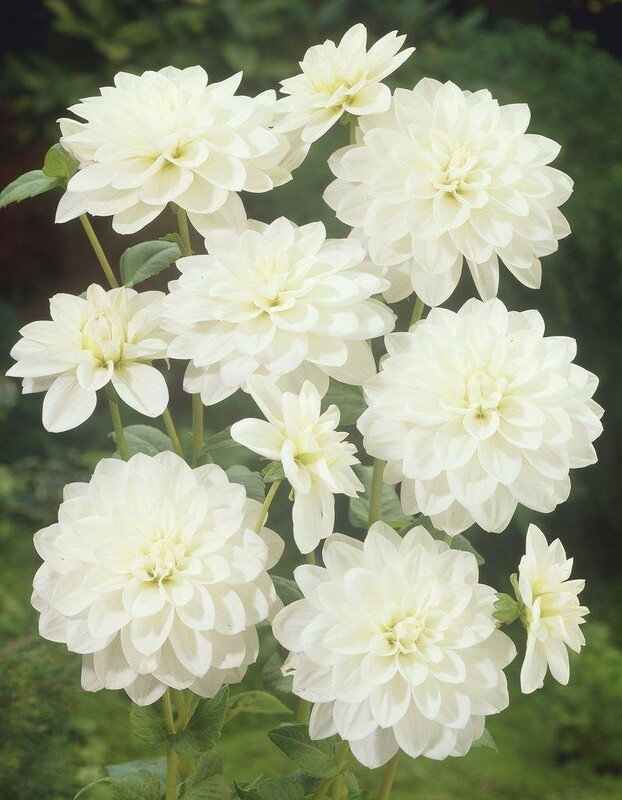 Produces large (up to 15cm diameter) white flowers, with a greenish-yellow centre. Grows up to approx 90cms tall. Will work well in a border or even in a container, makes superb cut flowers.